Dean Lister grew up in a military family and lived in such places as Venezuela and Panamá, as well as several areas in the United States before his family settled in San Diego for Dean’s high school years. The Boogeyman was a high school division wrestling champion and shortly after high school, he became interested in brazilian jiu-jitsu. Lister was already U.S. National Sambo Champion at this time. He took an introductory class with some wrestling team mates at Fabio Santos Brazilian Jiu-Jitsu Academy in San Diego. Dean was already familiar with the concept of groundwork but he found a new challenge in Jiu Jitsu, a unique sport that includes self-defense moves and strikes. It is the depth of this sport that keeps Dean’s dedication and commitment to his training at an optimum level. He believes that practicing this sport reveals the true character of each participant by showing courage, patience, honesty, discipline, innovation, and integrity. Lister also loves the challenge involved in practicing a sport that is constantly evolving. He is known for unstoppable foot-locks and is always working to modify and refine existing moves and create new moves that will benefit him in competition and that will enhance the effectiveness of brazilian jiu-jitsu. Dean Lister has competed in brazilian jiu-jitsu since 1996, starting just six months after he began training. He quickly made a name for himself in the sport and since them has earned a respectable reputation as a fierce competitor. In the mixed martial arts event King of the Cage, The Boogeyman was ranked as the number one middleweight and defended his Middleweight World Champion title several times. This year he can be seen coaching in this season of “The Ultimate Fighter”. Just like now, Dean was an Abu Dhabi invitee in 2000. A huge honor considering that the host of this contest, the prince of Abu Dhabi, selects only the top 16 fighters of each weight class from Olympic wrestlers, world-level sambo fighters, and world-level brazilian jiu-jitsu fighters to compete. Lister returned to the Abu-Dhabi tournament in 2003 where he defeated four of the best grappler’s in the world consecutively (3 by submission) to set a tournament record and become the Absolute Champion. Two years later, The Bogeyman became the 2005 Abu Dhabi Superfight Champion. He was quoted as saying that Fedor Emelianenko would be a great challenge and that he would jump at the opportunity to face him. Dean Lister plans on being involved in brazilian jiu-jitsu as long as possible, as both a competitor and as an instructor. He hopes that this involvement will oblige him to travel the world. Marcelinho Garcia is a world-renown teacher and competitor of Brazilian Jiu Jitsu. Considered by many to be the best pound for pound submission grappler (for no-gi) in the world, Garcia is a black belt in Brazilian jiu-jitsu under Fabio Gurgel of Team Alliance. In addition to his current titles, he has won the Brazilian Jiu Jitsu World Championships at all belt levels (blue, purple, brown and black), and the Submissions Fighting World Championships (ADCC) three times in a row (2003, 2005, and 2007), in which he was voted the most technical competitor in 2003 and 2007, and participant in the best match of 2005. In addition to his competition experience, Marcelo is a foremost expert in teaching Brazilian Jiu Jitsu. With his careful attention to detail and his friendly and charismatic personality, he is one of the most sought after instructors in the world, teaching seminars and lessons to professional fighters and grapplers, celebrities, hobbyists, and aficionados of martial arts. At K-1 HERO’S Korea 2007, Marcelo lost his MMA debut against Dae Won Kim twenty seconds into the second round by doctor’s stoppage due to a cut above his eye. Recently, it was announced that Garcia has joined up with American Top Team in Florida in order to improve his MMA skills. He will continue to fight in BJJ competitions under the Alliance team while representing ATT in future MMA events. In September 2008, Marcelo opened up a Jiu-Jitsu school in Pembroke Pines, a city in south Florida located between Miami and Ft. Lauderdale. Baret has 13 years Brazilian Jiu-Jitsu Training and Coaching. A Black Belt under the world famous BJJ competitor and MMA fighter Egan Inoue from Grappling Unlimited, he also received his Purple Belt before that from Relson Gracie. He has competed and won in Brazilian Jiu-Jitsu since the mid-nineties. In 1996 he was crowned champion of the Uemura Cup. Baret is the 6 time Hawaii state BJJ Champion. This 3 time Grappling Unlimited Champion has also competed in the prestigious ADCC several times. He is the 2001 and 2003 ADCC Vice Champion. Saulo Ribeiro is a third degree blackbelt in Brazilian Jiu-Jitsu, a six time World Jiu-Jitsu Champion, and a two time ADCC Submission Fighting World Champion. 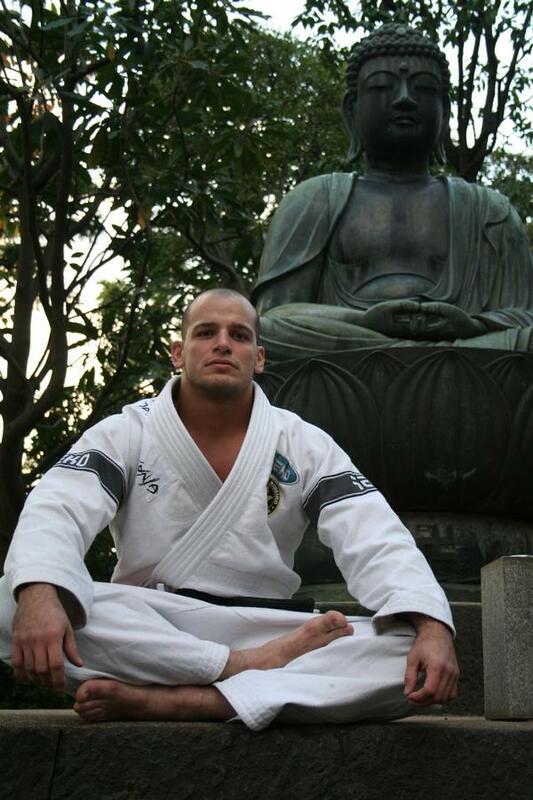 He began his training in Rio De Janeiro under Royler Gracie, the son of Helio Gracie, at the legendary Gracie Humaitá. He received his black belt on November 27, 1995. Saulo is known by his extreme versatility, he have fought and won all kind of grapplers, Olympic judo athletes, Olympic wrestlers and all top BJJ fighters of his generation. He is a very disciplined and wise competitor, he combines like no one else (maybe his brother Xande Ribeiro) technique, ability, physical training and strategy. This year at ADCC BARCELONA 2009 he will fight the division over 99kg, and even though he will be much lighter then his opponents he is always a very dangerous fighter. Xande is a two time Absolute (open weight) World Jiu-Jitsu Champion! He’s widely considered to be one of the world’s top grapplers. Ribeiro was the first person in the world to submit the American fighter Jeff Monson. Ribeiro’s techniques are planned down the tiniest detail, mapped out from second to second. His ability to take the back and finish, and his ability to catch submissions and sweeps from anywhere are going to intimidate his opponents in ADCC 2009. He is currently a competitor in Japan’s Sengoku Mixed Martial Arts and trains for his fights at The Arena, a professional MMA training gym in San Diego. Xande has a brother, Saulo Ribeiro, who is also a former Jiu-jitsu & submission fighting champion. Together they were formed in Gracie Humaitá and now they run Saulo & Xande Ribeiro’s University of Jiu Jitsu in San Diego, California. 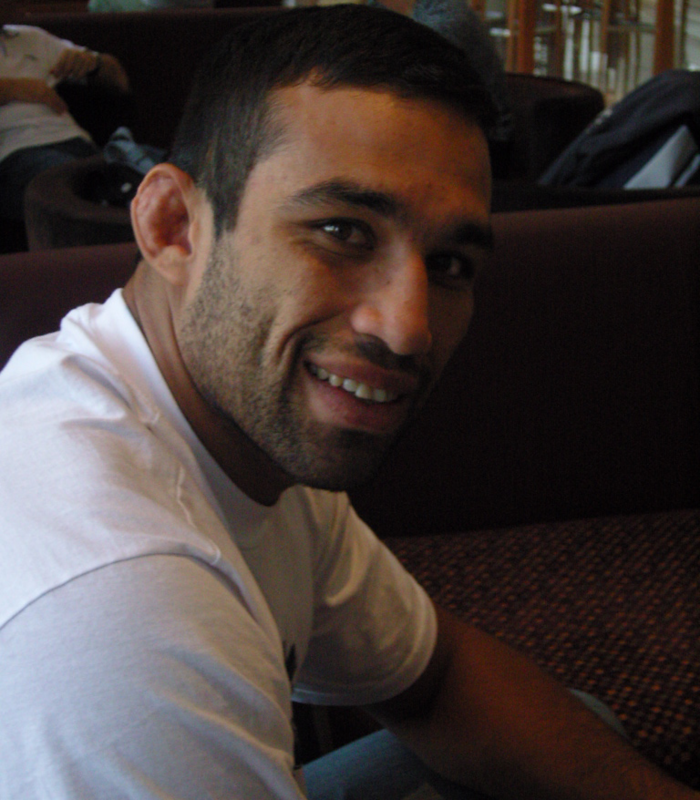 Werdum started training Brazilian Jiu-Jitsu after a recommendation from his ex-girlfriend. He trained with Marcio Corletta at the Porto Alegre Academy (Sylvio Behring’s). After success in competitive BJJ and submission wrestling, he started his career in MMA. Some years before he went to Spain, to join his mother who had moved to the city of Madrid. At the age of 17, soon after his arrival to Spain, still purple belt, Fabricio started teaching the art of BJJ in Madrid and other cities of Spain. Despite training with just white and blue belts, he became BJJ World Champion, being promoted to the rank of black belt by Sylvio Behring 3 years later. He has therefore made a great contribution in spreading BJJ in Spain where many of his former students keep spreading the art of BJJ nowadays. Since 2002 he devoted himself to MMA, becoming a Pride star after fighting in events like Millenium London and Jungle Fight. Three times world champion, Kyra Gracie experimented a different sensation in 2009: Hitting the beam in weight and in open class, the fighter left California with two silver medals in the bag. She is one of the few Gracie women to achieve a black belt in BJJ, and is the first Gracie female to actively compete in the sport. She is currently living in the United States, where she is associated with the Renzo Gracie Academy in New York, and the Gracie Barra Academy in Lake Forest, California. She is also associated with the Gracie Barra Academy in Rio de Janeiro. Kyra had an injury in the back last year. This is why she didn’t fight the Brazilian Championship, saving herself for the ADCC in September. She knows she’s going to meet tough fighters like Michelle Tavares and Hillary Williams.